Processes that have changed relatively little over hundreds of years in trade finance are being catapulted into the 21st century, due to significant advances in data analytics, digitization and shared ledger technology. Once a forgotten backwater of transaction banking, trade finance is overrun with proofs of concepts and pilots to reduce risk, fraud and cost, while dispensing with paper. Distributed-ledger technology such as blockchain is breathing new life into the much-maligned letter of credit and how it is transacted and settled, and it is enabling banks to deliver new products and services to companies that trade on open account. Paper-based trade and shipping documents are being digitized, speeding up delivery of goods and payments, which has a positive effect on companies’ working capital. Artificial intelligence in the form of robotic process automation and machine learning is being used to extract intelligence from paper documents to help banks and companies move closer to the digital utopia that advances in technology have long promised. There has never been a more exciting time to be in trade, which is undergoing a redefinition by the need for speed, transparency, innovation and collaboration. Last December, the largest private commercial bank in Russia, Alfa-Bank, issued the country's first letter of credit using blockchain technology. The establishment and execution of the letter of credit was entered on Ethereum, an open-source, public blockchain, using "smart contracts." Both parties to the transaction could check information such as individual customer taxpayer numbers, the amount of the letter of credit, and the opening and closing dates of the deal, using hash numbers (the result of a cryptographic transformation) they received from Alfa-Bank. Blockchain brings greater transparency and security to the process by establishing trust between counterparties. "Alfa-Bank is planning to use this innovation for maximal transparency of deals concluded between clients. The more market players will be using blockchain-based platforms to conclude and execute deals in the future, the more transparent, faster and cheaper financial interaction will be," says Dina Merkulova, the bank's managing director of trade finance. The project involved specialists from across the bank: corporate-investment business, Alfa Laboratory (electronic business), the legal department, IT and operations. "This was a great example of cross-functional networking, which contributed to flexibility and maximum efficiency of the related processes and resulted in effective and fast execution of the project," Merkulova says. Alfa-Bank is now working on developing the product for launch in the second half of this year. tool for companies doing business in new markets. However, SLOCs are typically costly, time-consuming and based on inefficient paper processes. To overcome these challenges, the treasury department of technology giant Microsoft, which was looking to expand into new markets and client segments that required payment assurance via a SLOC, approached Bank of America Merrill Lynch to develop a proof of concept for SLOC issuance and advising, using blockchain and smart contracts. "Historically, this process took days or weeks to achieve and was highly paper-intensive and error prone," says Jayna Bundy, director of treasury operations at Microsoft. "Now all the details are easily accessible in the blockchain ledger; and closing takes a matter of minutes, instead of days." The proof of concept, conducted last year, is believed to be the first Cloud blockchain transaction within Microsoft Azure between a major corporate treasury unit and a financial institution. "Working directly with Microsoft's corporate treasury team provided valuable insight into how blockchain can transform trade transacting for all parties—and how doing so in the Cloud can accelerate adoption," says Percy Batliwalla, head of global trade and supply chain finance, Global Transaction Services at Bank of America Merrill Lynch. millions of trades a day, trying to identify potentially fraudulent transactions is like searching for a needle in a haystack. Using open-source analytic tools, Big Data platforms like Hadoop and a data-visualization layer, Singapore-headquartered DBS Bank developed Trade ALERTS, which uses internal transactional data and external data to highlight clients with "red-flagged" transactions. Each red flag is assigned a severity rating ranging from low to high—the degree of probability that fraud is occurring. 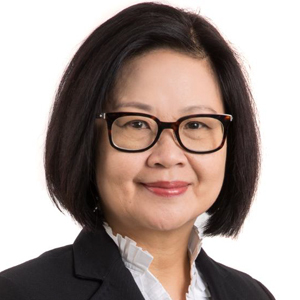 "With increasing regulatory demands and challenges in prevention of money laundering and fraud, the Trade ALERT analytics model has effectively transformed existing controls using integrated data," says Choong Yang Ping, managing director, Technology and Operations at DBS. Him Chuan Lim, group head of product management, Global Transaction Services at DBS, says digitizing trade finance processes will help DBS eliminate the risk of documentary trade fraud. "Over time, the Big Data program can also be extended to our customers, enabling them to detect unusual counterparty behavior and to mitigate possible losses." Many banks are experimenting with blockchain technologies in the trade finance space, but few can say they are close to commercializing their solutions. Frédéric Dalibard, head of digital for the Corporate and Investment Bank at Natixis, says the Digital Trade Chain should go into commercial production by the end of this year or the beginning of next year. "We have a production-ready pilot," he says. DTC provides a shared market platform for managing, tracking and protecting trade transactions between small and midsize companies. Most trade among small and midsize enterprises (SMEs) is conducted on open account without any bank involvement or tools for mitigating the risk of nonpayment. In moving these processes to the blockchain, the objective is to bring greater transparency and to speed up all legs of the process—from order to payment—while guaranteeing payment once all contractual obligations have been met. The DTC was tested with three textile companies and assessed by 17 SMEs in different industry sectors. In addition to the seven banks already on board, another 18 are reported to be in the pipeline. In January 2016, the European Bank for Reconstruction and Development launched its "Green" Trade Facilitation Program. The TFP has existed since 1999 and aims to facilitate the international trade of Central and Eastern Europe, the Commonwealth of Independent States and the southern and eastern Mediterranean region via the provision of guarantees to commercial banks to cover political, commercial and payment risk in transactions conducted by issuing banks in these regions. The Green TFP will help TFP partner banks and their clients better support Green Economy Transition (GET) technologies and services, such as wind-power turbines or hydroelectric power plant equipment. Since its launch, says Rudolf Putz, head of the TFP at the EBRD in London, Green TFP has supported 220 foreign trade transactions in GET technologies and services in 14 EBRD countries, resulting in annual energy savings of 339,750 megawatt hours, water savings of 26,300 cubic meters and emission reductions of 181,600 metric tons of carbon dioxide. "We expect that dedicated donor-funded training courses and information sessions, for client relationship managers in the TFP partner banks and their corporate clients, on the advantages and application of the Green TFP facilities, will help us to identify and support a steady stream of interesting new projects," says Terry McCallion, a director in energy efficiency and climate change at the EBRD. The EBRD sees good potential in countries such as Ukraine, Belarus, Armenia and Georgia, where high-performance technologies and services could help local economies reduce energy consumption and increase production of renewable energies. The commodity trade finance business, characterized by labor-intensive, paper-based processes, creates friction points and high costs for trading companies and banks. Having experimented with blockchain technology for the last two years, Natixis, the international corporate, investment, insurance and financial-services arm of Groupe BPCE, used the Linux Foundation's open-source Hyperledger Fabric to develop a permissioned blockchain network for US crude oil transactions. It used this network with its customer Trafigura, one of the largest physical commodities trading groups in the world. IBM France hosts the solution on its Cloud platform. Trade documents, shipment updates, delivery and payment status are shared across a single ledger, with the aim of significantly reducing transaction times, duplication of documents and authentication processes among all trading partners. The next phase of the project is to roll the platform out to all parties, including shipping companies, pipeline operators, inspectors and warehouses, so they can enter data directly onto the blockchain. "Given the benefits for both banks and trading companies, we will see broad market adoption," says Arnaud Stevens, managing director and head of Global Energy and Commodity—Americas at Natixis and blockchain lead. "Our prototype was designed to be modular, which means it doesn't require companies to change their existing trading and payments infrastructures." Attracting different classes of investors to trade assets has long been touted as desirable by incumbent supply chain finance platforms, but few have successfully attracted investors other than banks. With corporations seeking a broader investor base for their working capital needs, LiquidX's auctioning platform matches Fortune 1000 companies with a wide range of investors beyond conventional trade finance banks. The platform was previously owned and operated by New York–based The Receivables Exchange. LiquidX says it currently trades $500 million to $600 million in trade finance assets per month, with volumes tripling in the last 15 months. Auction-based online platforms are not a new concept, but LiquidX provides a means for investors outside the traditional trade finance banks—specialty finance companies, asset managers, endowments and hedge funds—to deploy their capital. Banks can white-label LiquidX's platform without having to build their own technology. LiquidX says its goal is to be "the Amazon of trade finance" and bring greater transparency, best price execution, ease of operation and lower legal and implementation costs to the business. It can be a daunting task for companies looking to expand into new markets to find new buyers, identify the right markets to focus on, and understand the key risks and issues and how they can be managed or mitigated. With that in mind, in November 2016, Lloyds Commercial Banking launched its International Trade Portal, which enables companies to more easily identify the largest and fastest-growing trade markets, the costs of exporting to or importing from these markets, regulatory information and companies in these markets that are looking to buy products and services. The portal is integrated with the UK Department for International Trade's new Exporting is GREAT Portal. Lloyds Bank also developed the Trade Tool, which allows companies to select their key concerns, such as questions about a buyer's ability to pay a supplier, and see the full breadth of solutions available from the bank to manage these concerns. "Following the EU Referendum, British companies are increasingly looking outside the EU for new markets; but this potentially means new payment terms, new counterparties, new risks and shipment terms, and increased strain on working capital," says Adrian Walker, head of Global Transaction Banking at Lloyds Commercial Banking. "Our portal will make it easier for businesses to find new opportunities and buyers, helping them to mitigate the financial and geopolitical risks that may impact them as they trade internationally." While banks may be making significant progress in digitizing trade documents, smaller players such as traders and freight forwarders in emerging markets struggle with the digital transformation of their business processes. With a definitive shift to paperless trade unlikely to happen in the short term, Standard Chartered is investing in going paperless internally by building the necessary layers around its operation processing to absorb the vast amount of unstructured information and turn it into structured data. By coupling the latest technologies with optical character recognition (OCR) and natural language processing, the bank has developed a proof of concept to recognize document types and extract accurately the relevant information (starting with entity-type recognition and entity names). Each data point extracted is given an accuracy score, which is used to "accelerate the path to the highest level of accuracy." 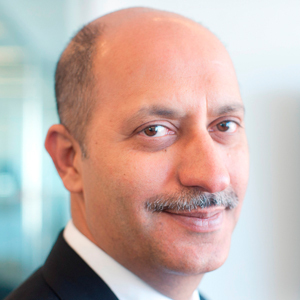 "With OCR, the bank is building the necessary backbone that will power the next generation of client interface to bring unparalleled levels of service and transparency in trade processes to all clients, regardless of their digital maturity," says Farooq Siddiqi, global head of trade, transaction banking at Standard Chartered. 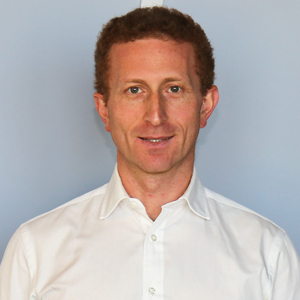 In the coming months, Standard Chartered plans to reinforce the learning of the engine while adding more use cases, and is targeting the solution to go live commercially in its global processing hubs. technologies to provide supply chain finance through a flexible portal that can accommodate a range of different requirements. CRX Markets's Internet portal provides suppliers with access to three different forms of financing: dynamic discounting, where the buyer uses its own cash to pay invoices early in return for a discount; multibank financing; and multi-investor financing or securitization, where a special-purpose vehicle is created to purchase the approved receivables, which are then auctioned to banks and investors via a marketplace. Suppliers can combine the different forms of financing and customize them to their needs. "At CRX, we are focused on democratizing supply chain finance by providing cutting-edge technology and multichannel financing to our clients," says Alexei Zabudkin, CFO and head of Capital Markets at CRX Markets. "Banks are our partners in this endeavor, as they leverage our platform to provide SCF to their corporate clients." 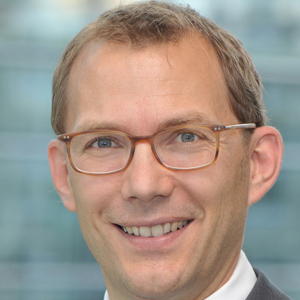 contracts," says Thomas Dusch, co-head of Global Transaction Banking Germany at UniCredit Bank. "It also is one example of cooperation that we are actively pursuing with several fintech partners. In this case, the solution enables us to satisfy the clients' needs through a single and flexible channel, thereby adding value and optimizing working capital."